Enter Lamptrons FC8 (8 CHANNEL) fan controller. The FC8 features a CNC Milled front panel, laser etched logo and channel signals. Each channel has an LED indicator and can be manipulated at will to suit your color variations. 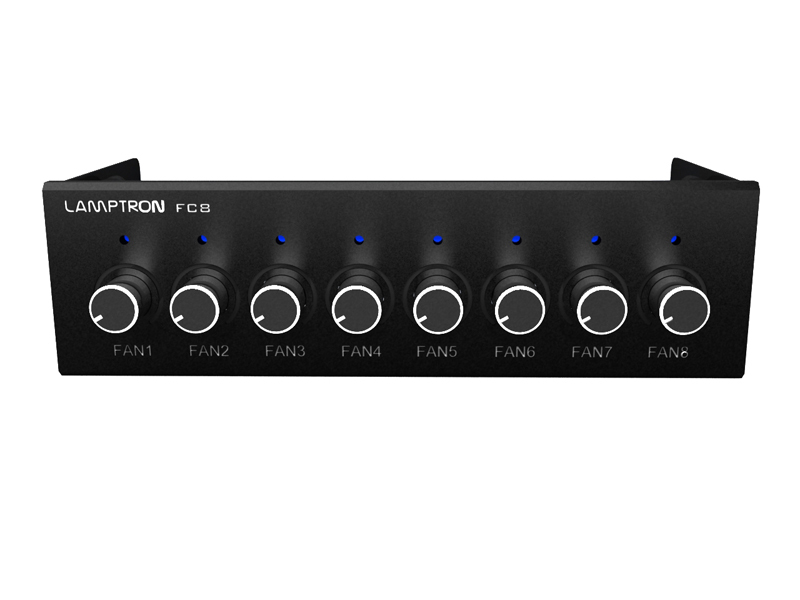 What sets this controller apart is the WHOPPING 8 channels on board each with 30 watt ratings - allowing for no hassle daisy chaining of 2 and possibly 3 fans on a single channel. What does that mean for a Mountain Mods case owner? A single fan controller that can manipulate the massive amount of fans on some configurations. Whats better? Mountain Mods is the first to source this fan controller in the USA.